BRAMPTON, ON. 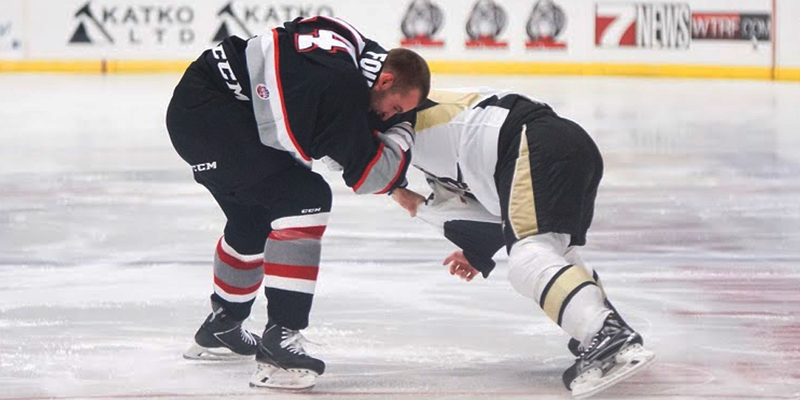 — Brampton Beast forward Stefan Fournier has made quite an impression on his Beast teammates and fans with his gritty play and hard-nosed approach to the game. The 25-year-old native of Dorval, Quebec played five years in the QMJHL with four different teams: Acadie-Bathurst Titan, Lewiston MAINEicas, Victoriaville Tigres and the Halifax Mooseheads. With the Mooseheads in 2012-13, Fournier reached career highs in points and penalty minutes and served as captain. This was a team that featured current Montreal Canadien Jonathan Drouin and Habs prospect Zachary Fucale. The Mooseheads captured the Memorial Cup and is remembered by some as one of the best teams in CHL history. As an undrafted free agent, Fournier started his pro career with the Canadiens AHL affiliate, the Hamilton Bulldogs after signing a three-year entry level contract. In 40 games in 2013-14, Fournier recorded two goals, five assists and 86 minutes in penalties. Injuries and lack of playing time saw him move between the Bulldogs and the Wheeling Nailers of the ECHL in 2014-15 playing just 26 games. 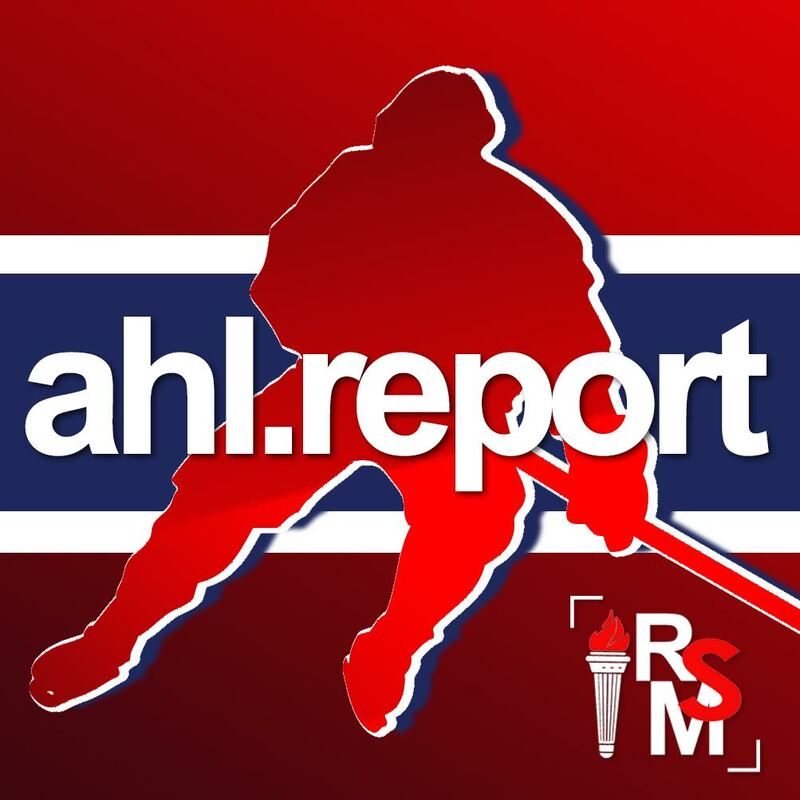 With the Canadiens moving their AHL affiliate to St. John’s for the 2015-16 season, Fournier got off to a good start with the IceCaps with seven points in 24 games, including five goals. Fournier was a reliable penalty-killer and regularly stood up for teammates, amassing 65 minutes in penalties. The winger from Dorval had started the season with the Brampton Beast and was recalled to the IceCaps on November 2, 2015. On January 15, 2016, Stefan Fournier was involved in one of the most controversial trades in NHL history. The three-team deal was engineered partly in response to Arizona Coyotes forward John Scott being voted into the 2016 NHL All-Star game in a viral-driven prank. The Nashville Predators traded defenseman Victor Bartley to Arizona for defenseman Stefan Elliot. Then the Coyotes sent Scott and Bartley to the Montreal Canadiens for Fournier and defenseman Jarred Tinordi. Scott was immediately assigned to the St. John’s IceCaps, initially making him ineligible for the All-Star game. Fournier was sent to the Springfield Falcons, at the time, the AHL affiliate of the Coyotes. Stefan had four points and 78 penalty minutes in 32 games. In 2016-17 Fournier played 29 games with the Tucson Roadrunners as the Coyotes relocated their AHL affiliate from Springfield. At the 2017 trade deadline, the Tampa Bay Lightning acquired Fournier from Arizona for winger Jeremy Morin. 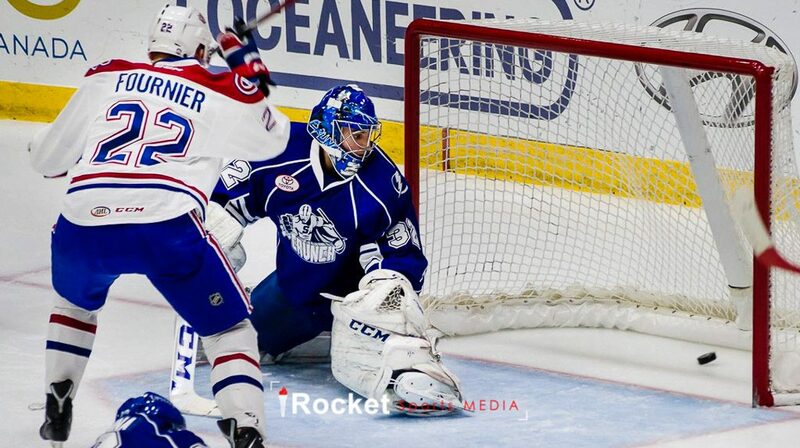 Fournier finished the season splitting time between the Syracuse Crunch (AHL) and the Kalamazoo Wings (ECHL). At the beginning of this season, Fournier signed with the Brampton Beast after developing into one of the toughest players in the AHL and ECHL. In addition to his toughness, Fournier is a solid two-way player something he has been committed to his entire career. Fournier has good skating ability for a big man (6′-3″, 225 lbs.) and has a good set of hands although the Beast coaching staff was reluctant to put him in the top six early in the season. With his style of play, Fournier creates space for his linemates and subsequently earned more icetime. Given the opportunity, Stefan could be a 20+ goal scorer at the ECHL level in my estimation. At 25-years-old, we have a good idea about the full range of Fournier’s skillset. He is tough, responsible defensively, is a good penalty-killer and can chip in with secondary scoring. If Stefan returns to the Beast next season, he should find himself with an expanded role. In my opinion, Fournier may even earn another chance with the Canadiens AHL affiliate next season bringing his career full circle. Sometimes, it’s good to come home.